The ResourceBank HR & Business Forum on “Creating a Winning Culture” at the Brewery in London in November 2014 featured Fran Millar from Team Sky as key speaker. Senior professionals from more than forty leading UK and international businesses were in attendance to hear from both Fran and Richard Pearson, Managing Director of ResourceBank. 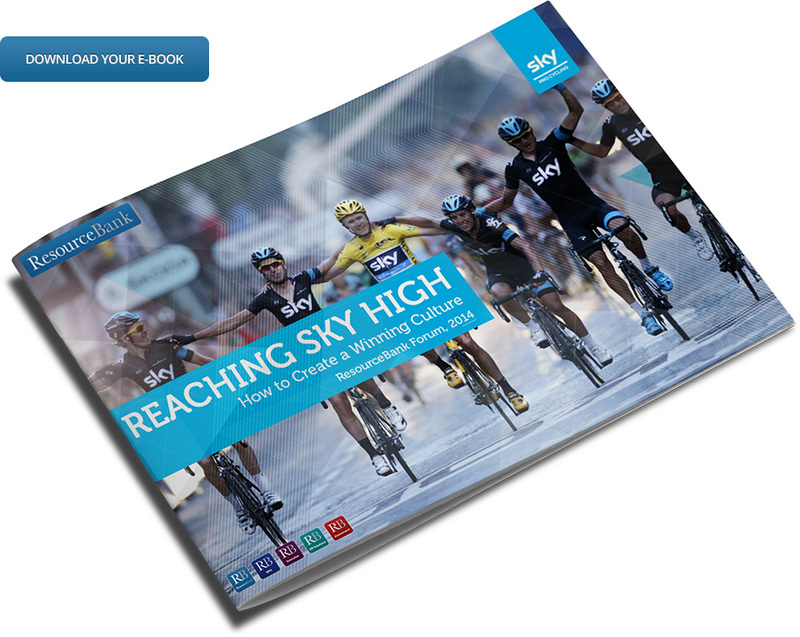 Click on the image below to view/download the e-book from the event and find out what were the key elements behind building the Winning Culture at Team Sky.